Today I am excited to share another collaboration tutorial with Art Gallery Fabrics using the ever so beautiful Legacy by Angela Walters. 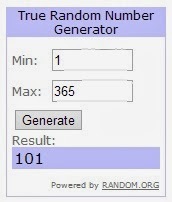 And I was thrilled when they asked if I would be willing to do a giveaway along with the tutorial. Well, of course!!!! Stay tuned for the Giveaway, it's at the end and it is fabulous!!! So Let's get to it!!! I am happy to introduce to you my newest tutorial . . . Steps To Tranquility!!!! 20 Fat Quarters - As mentioned, I am using the Legacy Collection by Angela Walters. Press each of your 20 fat quarters. Second 2 3/4" strip - (1) 2 3/4" x 8 1/2" rectangle. Scrap the remaining large pieces. The 2 3/4" strip - (1) 2 3/4" x 8 1/2" rectangle. And you are done cutting prints. You should have the quality of each piece listed below. Place the 2 3/4" x 2 3/4" squares and 2 3/4" x 7 1/4" rectangles together with similar fabrics grouped (as shown) to be used for the Corner Blocks. Place the 2 3/4" x 8 1/2" rectangles in a pile to be used for the Sashing Blocks. And place the 3" x 8" rectangles and the 3" x 13" rectangles together with similar fabrics grouped (as shown) and then add the 3" x 3" squares to the group to be used for the Center Blocks. (36) 2 3/4" x 2 3/4" squares - Place with the Corner Blocks print pile. 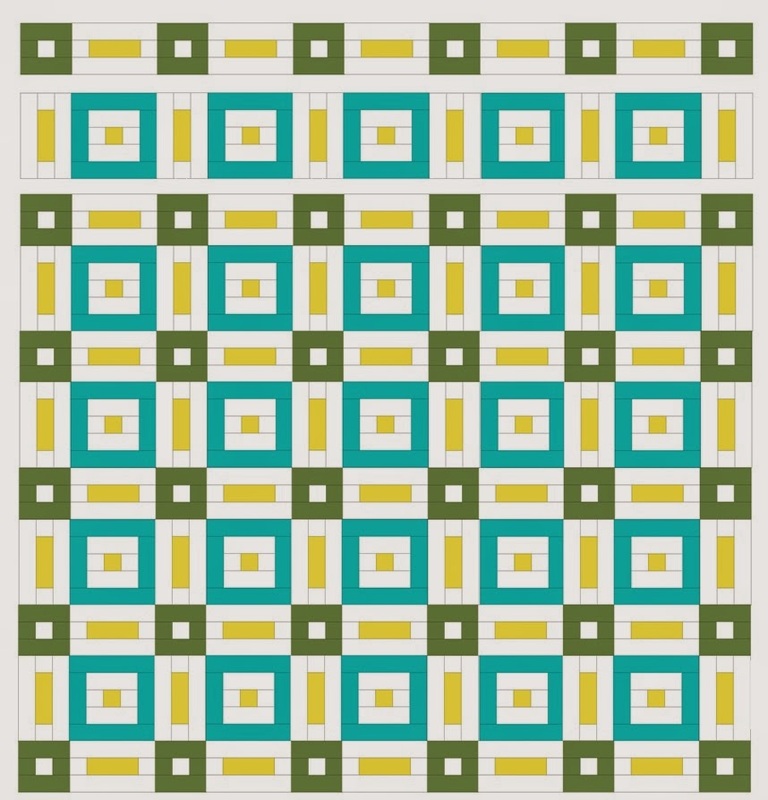 (120) 2 3/4" x 2 3/4" squares - Place with the Sashing Blocks print pile. (120) 2 3/4" x 13" rectangles - Place with the Sashing Blocks print pile. (50) 3" x 3" squares - Place with the Center Blocks print pile. (50) 3" x 8" rectangles - Place with the Center Blocks print pile. We'll start with building the Corner Blocks. So grab the print and background fabrics in the Corner Blocks pile. Note - while the instructions will be shown making one block at a time, I recommend chain stitching and assembly line piecing all 36 units at a time, if you are comfortable with that type of piecing. To start the Corner Blocks gather a 2 3/4" x 2 3/4" background square and (2) similar 2 3/4" x 2 3/4" print squares. Lay out as follows. Place the right hand side print square onto the background square with right sides together. Aligning as you go, stitch a 1/4" seam along the edge. Finger press. Now place the left hand print square onto the background square with right sides together. Aligning as you go, stitch a 1/4" seam along the edge. Press both seams outward. Now gather the (2) similar 2 3/4" x 7 1/4" print rectangles. Lay out as follows. Place the top print rectangle onto the pieced unit with right sides together. You can align as you go or pin and then stitch a 1/4" seam along the edge. Finger press. Now place the bottom print rectangle onto the pieced unit with right sides together. Align as you go or pin and then stitch a 1/4" seam along the edge. Press both seams outward. Repeat this step to make a total of 36 Corner Blocks. Next, we move onto building the Sashing Blocks. So grab the print and background fabrics in the Sashing Blocks pile. Note - once again, while the instructions will be shown making one block at a time, I recommend chain stitching and assembly line piecing all 60 units at a time, if you are comfortable with that type of piecing. To start the Sashing Blocks gather a (2) 2 3/4" x 2 3/4" background squares and (1) 2 3/4" x 8 1/2" print rectangle. Lay out as follows. Place the right hand side background square onto the print rectangle with right sides together. Aligning as you go, stitch a 1/4" seam along the edge. Finger press. Now place the left hand background square onto the print rectangle with right sides together. Aligning as you go, stitch a 1/4" seam along the edge. Press both seams outward. Now gather (2) 2 3/4" x 13" background rectangles. Lay out as follows. Place the top background rectangle onto the pieced unit with right sides together. You can align as you go or pin and then stitch a 1/4" seam along the edge. Finger press. Now place the bottom background rectangle onto the pieced unit with right sides together. Align as you go or pin and then stitch a 1/4" seam along the edge. Press both seams outward. Repeat this step to make a total of 60 Sashing Blocks. And finally, we will build the Center Blocks. So grab the print and background fabrics in the Center Blocks pile. Note - And one last time, while the instructions will be shown making one block at a time, I recommend chain stitching and assembly line piecing all 25 units at a time, if you are comfortable. To start the Center Blocks gather a (2) 3" x 3" background squares and (1) 3" x 3" print square. Lay out as follows. Place the right hand side background square onto the print square with right sides together. Aligning as you go, stitch a 1/4" seam along the edge. Finger press. Now place the left hand background square onto the print square with right sides together. Aligning as you go, stitch a 1/4" seam along the edge. Press both seams outward. Now gather (2) 3" x 8" background rectangles. Lay out as follows. Place the top background rectangle onto the pieced unit with right sides together. You can align as you go or pin and then stitch a 1/4" seam along the edge. Finger press. Now place the bottom background rectangle onto the pieced unit with right sides together. Align as you go or pin and then stitch a 1/4" seam along the edge. Press both seams outward. Now gather (2) 3" x 8" print rectangles and (2) 3" x 13" rectangles all of the similar print. Lay out as follows. Place the right hand side print square onto the background square with right sides together. Aligning as you go, stitch a 1/4" seam along the edge. Finger press. Now place the left hand print square onto the background square with right sides together. Aligning as you go, stitch a 1/4" seam along the edge. Press both seams outward. Place the side print rectangles onto the pieced center unit with right sides together. Aligning as you go or pin in place and then stitch a 1/4" seam along each of the 2 edges. Press both seams outward. Place the top and bottom print rectangles onto the pieced center unit with right sides together. Aligning as you go or pin in place and then stitch a 1/4" seam along each of the 2 edges. Press both seams outward. Repeat this step to make a total of 25 Center Blocks. Gather 6 Corner Blocks and 5 Sashing Blocks. Lay them out in a row as shown below, playing with the placement of prints until it is pleasing to the eye. Using 1/4" seams, sew the blocks into a row. (I like to do this by first sewing all of the corner blocks to the sashing block next to it, and then sewing those pieced units together :) Press the seams towards the Sashing Blocks. Repeat to make a total of 6 rows. Now gather 6 Sashing Blocks and 5 Center Blocks. Lay them out in a row as shown below, playing with the placement of prints until it is please to the eye. Using 1/4" seams, sew the blocks into a row. (Once again, I like to do this by first sewing the sashing blocks to the center block next to it, and then sewing those pieced units together) Press the seams towards the Sashing blocks. Repeat to make a total of 5 rows. And finally, layout all your rows as shown below, starting and ending with the corner rows and alternating rows. Using a 1/4" seam, sew the rows together into the quilt top. And yes, just like making the rows, I like to first sew each corner row to the center row next to it, and then sew those pieced row units into the quilt top. And now that your quilt top is compete, you are ready to finish you quilt. You just have to Baste it, Quilt it, and Bind it. (You will need 11 2 1/2" x wof binding strips). I know that's a lot of work to put into one sentence. 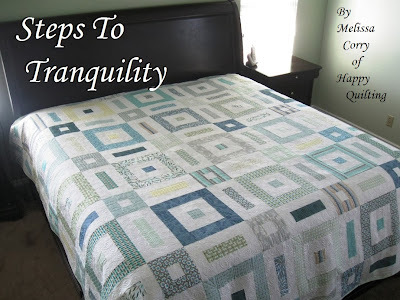 If you are new to quilting and need some pointers on how to finish your quilt you can see my video tutorials going over basting, quilting, and binding in detail. For the Corner Blocks I did echoed Arches of the piecing. 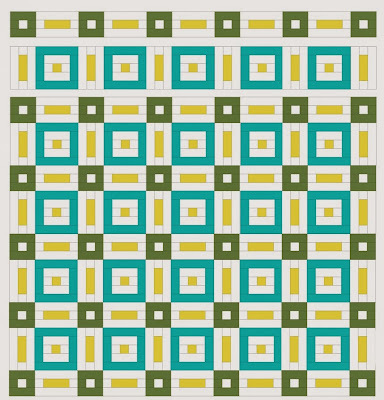 I just love how this quilting design creates the secondary circle designs. So fun!! This stitch was a little nerve racking at first to try and get my arches similar, but by the end I was loving how fast and easy it was. All in all, I am just ecstatic with how the quilting turned out and it has oh so much yummy texture!! And before I sign off, remember I mentioned a GIVEAWAY!!! A huge thank you goes out to Art Gallery Fabrics for sponsoring this fabulous giveaway!!! So what's up for grabs?? A Fat Quarter Bundle in your favorite colorway of Angela Walters stunning Legacy!! I just loved working with this fabric, it really is just so beautiful and soothing to work with and two of you lucky readers are gonna win some!!! Good Luck to you all and have a super Happy Quilting Weekend. Which for me, is of course going to happen because I will be eating pie while quilting, double bonus!!!! As I mentioned last Friday, I was managing to catch a cold. And man oh man, did I catch it. So there wasn't a whole lot going on this weekend. I did a bit of quilting on the long arm (which I will show later this week, hello tutorial :) and a little bit of cutting. I was cutting up some of my Road 15 scraps and finally tried out my new Rotary Cutter from Wholeport. I have never had a 60mm rotary cutter before and decided to give one a try and I like it!! I don't know if there is a difference in cutting time, (I am sure there is due to some amazing physics) but I like the idea of it being so big and slicing through my cutting time. After cutting the Road 15 scraps I was hoping to cut into this beautiful bundle of Oakshott Cottens. The lovely folks at Oakshott were so kind to send me their new Italy Fat Eighth Bundle to play with. Sadly though, my brain was just to foggy to decide what I wanted to make with this amazing bundle. So it will wait on the shelf looking oh so amazing until I decide just the perfect project for it :) And just for fun, I wanted to show you how cute and little they fold the Fat Eighth bundles. That is the bundle sitting on top of a charm pack. So adorable!!! So now it's off to the store for some serious pie making ingredients. Our family takes pie making for the big gobbble gobble day pretty serious. We average 8-10 pies because honestly, who doesn't love pie!! 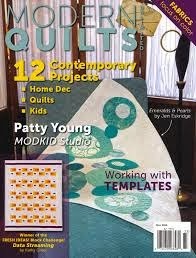 Today I am so excited to welcome Fort Worth Fabric Studio as Happy Quilting's newest sponsor!!! Jodie Heinold opened Forth Worth Fabric Studios in October of 2009. She lives in, you guessed it, Forth Worth Texas with her husband and three boys. Her dream and plan is to see Forth Worth Fabric Studio grow to "Texas-Sized" allowing a place for clientele to return again and again finding new fabrics each time. Jodie has a trained eye for beautiful fabrics and stunning color combinations. These are shown in her amazing Friday Bundle Batches!! Every Friday Jodie releases a new bundle with a catchy name and based around a certain theme or focal fabric. These bundles come in Fat Quarters or Half Yards. These are a few of my favorites. See what I mean by that eye for color. Fantastic!!! And of course, the wide variety of fabrics Jodie carries makes these amazing bundles possible. Jodie carries over 35 different Manufactures allowing you an incredibly wide variety. From your modern prints in yardage and precuts, to your basic batiks, and even some Duck Dynasty thrown in for good measure ;) Fort Worth Fabric Studio really does have it all! Jodie also carries wonderful Buttons and Trims, Kits, and Patterns and Books. It's so convenient to have it all in one place!!!! Seriously, the little lady bug ribbon, adorable!!! And finally, Fort Worth Fabric Studio also has an amazing sale section that has an astounding variety of discounts fabrics. She breaks her sales down into price per yardage starting at $3.00 and on up to $8.00. This makes it so easy to get the sale price you are looking for!! She even has some of her amazing bundles on sale too!! Everyone Loves a good sale!!! Be sure to sign up for the Forth Worth Fabric Studio Newsletter (upper right hand corner) so you don't miss a thing. It will arrive each Friday with the new Friday Batch Bundle and all of the great sales going on!!! So Welcome Jodie and Forth Worth Fabric Studio!!! I am so happy to have you as part of the Happy Quilting Team!!!! And as part of their welcome debut Fort Worth Fabric Studio is hosting a fabulous giveaway of a brand new Bundle!!! And this bundle is just perfect for the upcoming holidays, Let It Snow-Man!!! I know you all have a few holiday sewing plans that this would be perfect for!! So . . . How do you enter to win this fantastic bundle??? Simple!! Just Pop on over to Fort Worth Fabric Studio and check out the Friday Batch Bundle's and then comment here telling me which is your favorite!! !